The year is 1997, Michael Soussan, a fresh-faced young graduate takes up a new job at the U.N.'s Oil-for-Food program, the largest humanitarian operation in the organization's history. His mission is to help Iraqi civilians survive the devastating impact of economic sanctions that were imposed following the 1990 invasion of Kuwait. As a gaffe-prone novice in a world of sensitive taboos, Soussan struggles to negotiate the increasing paranoia of his incomprehensible boss and the inner workings of one of the world's notoriously complex bureaucracies. But as he learns more about the vast sums of money flowing through the program, it becomes clear that all is not what it seems. Soussan becomes aware that Saddam Hussein is extracting illegal kickbacks, a discovery that sets him on a collision course with the organization's leadership. On March 8, 2004, in a Wall Street Journal op-ed, Soussan becomes the first insider to call for "an independent investigation" of the U.N.'s dealings with Saddam Hussein. One week later, a humiliated Kofi Annan appointed Paul Volcker to lead a team of sick international investigators, whose findings resulted in hundreds of prosecutions in multiple countries, many of which are still ongoing. 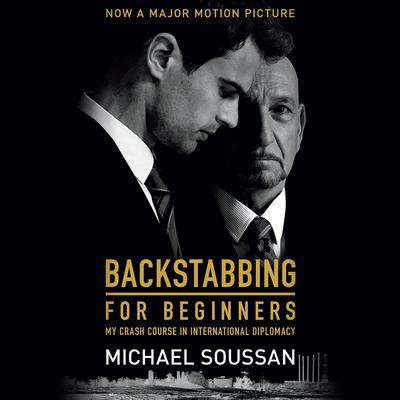 Backstabbing for Beginners is at once a witty tale of one man's political coming of age, and a stinging indictment of the hypocrisy that prevailed at the heart of one of the world's most idealistic institutions.